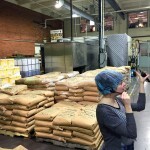 Another opportunity to become a Seattle Tourist took me to Theo Chocolate for their Factory Tour. 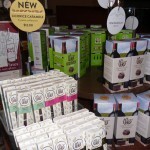 Located just north of the city in the funky neighborhood of Fremont, Theo Chocolate is not only Organic but also a Fair Trade and Fair for Life Bean-to-Bar chocolate factory. Since 2006 Theo’s has been making the highest quality chocolate from the world’s best cocoa beans, grown in the most sustainable ways possible. 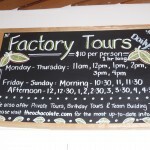 Their tour is just one hour long but packed with information about the harvesting of cocoa beans to the end result, delicious chocolate bars and other creative sweets. Your tour begins in the classroom where you gain knowledge of just how cocoa beans are grown and samples are plentiful. 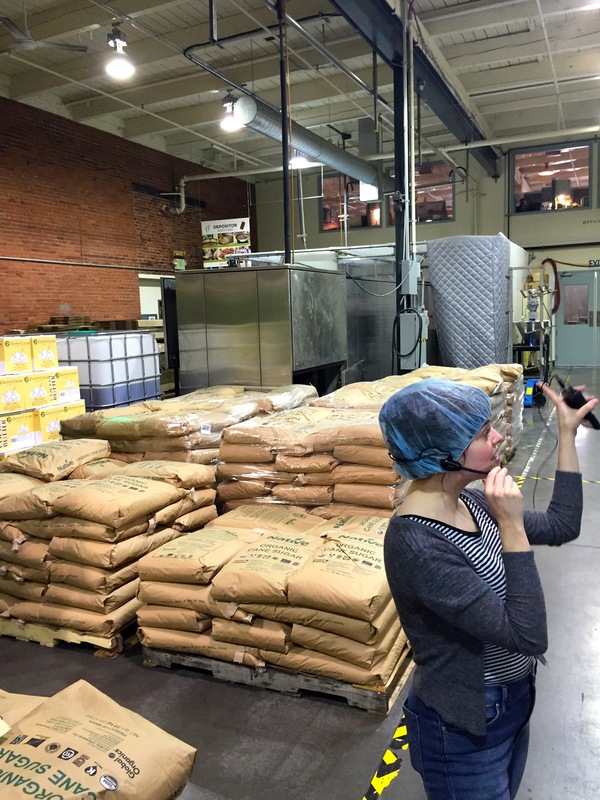 After putting on your hairnet making you look like you are joining Lucy and Ethel from the I Love Lucy tv show you actually get to walk throughout the plant as your tour guide explains each step in making the chocolate. You even get to visit the kitchen where just a few hands are making the final products. The day I visited they were unmolding chocolate creatures for Easter and hand filling them. More samples that were delicious, rich and creamy. At the end of the tour they give you a large chocolate bar, your choice, dark chocolate or milk chocolate and inside the wrapper is the story of chocolate, Bean-to-Bar. 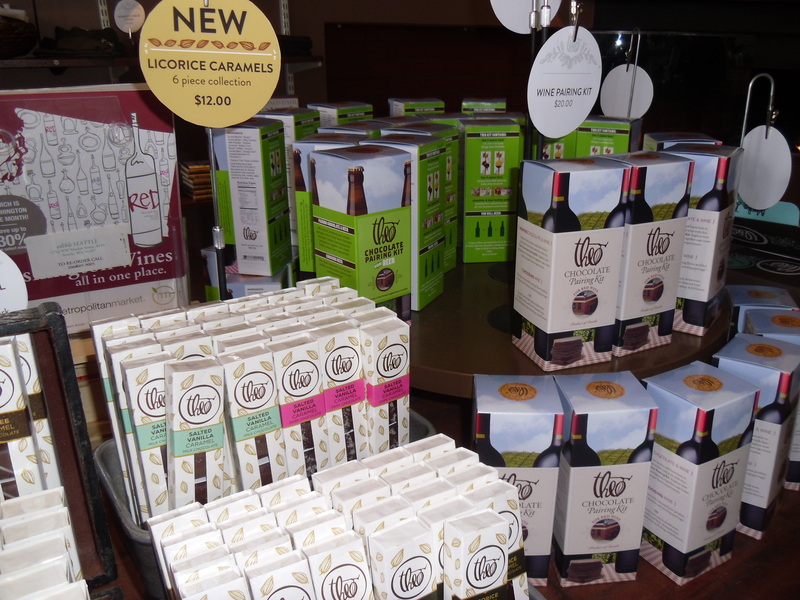 They have a very nice gift shop with MORE samples and a huge selection of chocolate sweets, individual pieces and also nice assortment of bars. The tour is $10.00 per person and they have tours 7 days a week. 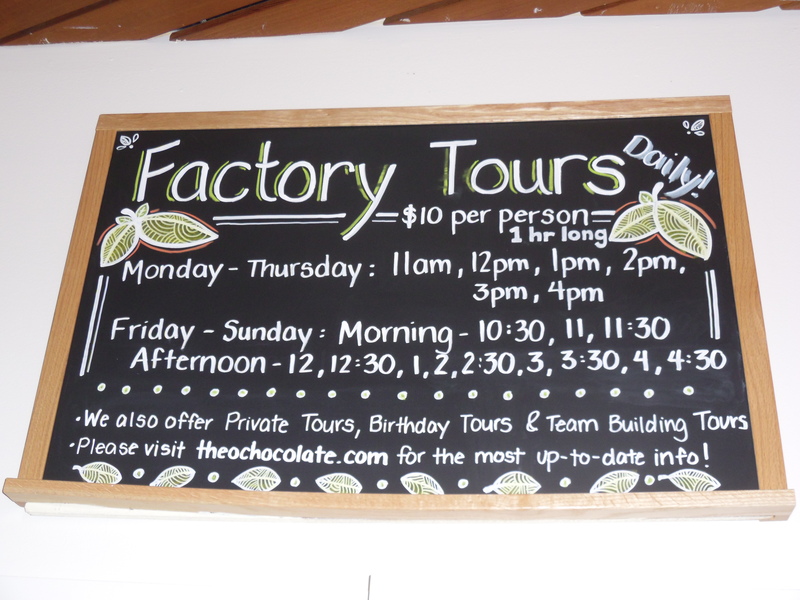 In the summer months they recommend making your tour reservation online at Theo Chocolate Factory Tours.